How many times have you gone to the ATM machine to withdraw money but found yourself to be in the negative? Wouldn’t it be nice to go to the ATM whenever you wanted and always find a positive balance? This scenario is very similar to the way most of us are going through life. We want to have positive results, but we seem to be stuck in the negative. Interestingly enough, your mind is an ATM. To first acquire anything in life we must first see it in our minds as an idea, or a thought. Unfortunately, thoughts and ideas, good or bad, have been deposited in your mind throughout your life. Your subconscious mind is running you and your actions at all times because it is programmed by those thoughts. Your actions are like withdrawals. You are not only “spending” time and energy on actions and results that are productive, but also on actions that are non-productive, habits that are keeping you from achieving what you want. It is those unwanted withdrawals that are keeping you at a zero balance. To produce the results you want in your life you need to take control of your ATM and reprogram it to only make withdrawals with your approval. In other words, control your thoughts or deposits, and it will control your withdrawals and actions. 1) Change your thought PIN……..Positive Instead of Negative. Make the decision that you will not allow any negative thoughts into your life nor will you allow anyone else to change or control it. 2) Make regular deposits of positive thoughts. You can do this on a daily basis by repeating an affirmation of a result that you want to achieve or an action you would like to perform. The more you deposit the thought into your mind the more energy you will accumulate for withdrawals. 3) When you do make withdrawals, select those that will be putting your time and energy toward the achievement of your goal. Often times we spend our energy on tasks and non-productive items that do not serve us in any way but in fact deplete us of our much-needed resource. Stay focused on your goal and only withdraw when necessary. Learn to monitor your mind and your thoughts, keep a healthy balance, and the results will follow. 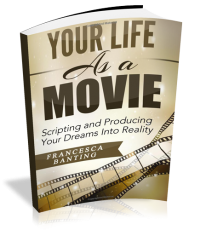 Fran Banting is a Performance Consultant, Speaker, and Author of the International Bestseller, “Your Life As a Movie, Scripting and Producing Your Dreams into Reality”.